Manila, Philippines -The department of Public Works and Highways (DPWH) has already built a total of t 3,945 kilometers of roads and implemented other infrastructure projects since President Rodrigo Duterte assumed office in 2016. DPWH Secretary Mark Villar detailed the accomplishments of the agency which includes widening of roads, rehabilitation of bridges and pending projects for completion, among others. 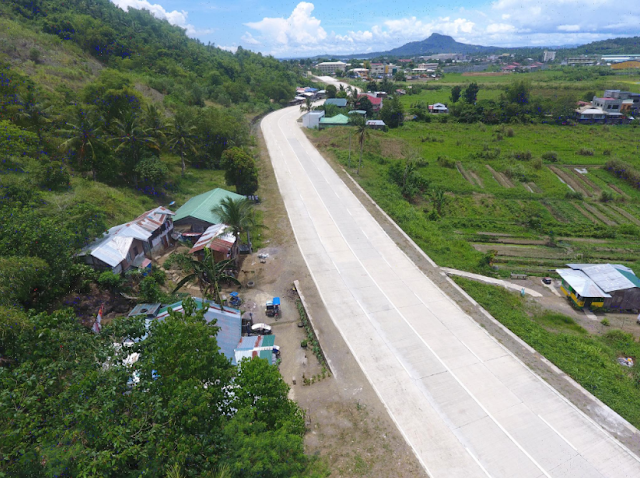 “We have widened 1,908 km of roads, built 328 kilometer of bypasses and diversion roads, 393 kilometers of missing gaps connecting national roads, and 1,316 km of access roads,” the DPWH secretary said. The figures also include the restoration of “939 bridges spanning 40,192 meters and strengthened 642 bridges, spanning 29,260 meters,” Villar said. DPWH has consistently worked on achieving the infrastructure program of Duterte administration, the “Build, Build, Build” which aims to transform the Philippines into a high-middle income economy by 2022. Villar cited that by 2022, DPWH would have constructed the network of highways with a total length of 834.72 kilometers – which will be called the Luzon Spine Expressway Network. “Once completed, travel time from Metro Manila to San Fernando, La Union will be reduced from 6 hours and 55 minutes to 3 hours and 10 minutes,” he said. Then travel time from Ilocos to Bicol would be reduced from 19 hours and 40 minutes to 8 hours and 15 minutes. Villar proudly announced that the agency was ahead of its schedule, and infrastructure projects are in their advance stages. In about almost two months, the agency is about to begin its construction of the 3.77-km Panguil Bay Bridge that will connect Tangub, Misamis Occidental to Tubod, Lanao del Norte. “Once completed in 2021, it will take only 10 minutes to reach Tangub City from Tubod using the bridge compared to the 2.5 hours it would take using the 102-km route via the Tubod- Kapatagan-Molave-Tangub road,” the DPWH secretary said. “Travel time between Ozamiz City, Misamis Occidental and Mukas, Kolambugan, Lanao Del Norte will be reduced from 2.5 hours using RORO operations to 20 minutes using the Panguil Bay Bridge,” he added. Bataan-Cavite Interlink, the Mindoro-Batangas Super Bridge, the Panay-Guimaras-Negros Link, the Negros-Cebu Link Bridge, the Panguil Bay Bridge, the Guicam Brdige, the Camarines-Catanduanes Friend Bridge, the Luzon Sorsogon-Samar Link Bridge, and the Davao Samall Bridge, are also included in this network. Villar added that the implementation of these projects are being prioritized and fast tracked to meet the deadline before the term of President Duterte in 2022 ends. On August 2, the DPWH opened two out of four lanes of the Southbound flyover of the Cavite-Expressway (Cavitex). It will ease traffic at the intersection of Pacific Drive and Cavitex.